With security professionals in high demand, finding quality security personnel at all levels poses challenges. Optiv can help you fill the staffing gaps within your organization from engineers and analysts to program managers and architects to security professionals at the executive level. 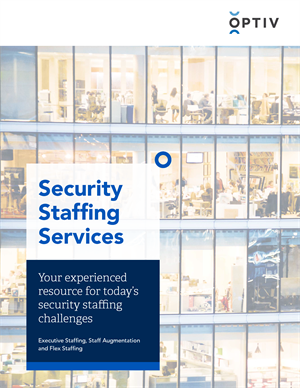 As a part of our commitment to our clients in a challenging security environment, we are dedicated to helping you meet the staffing needs of your organization.